(CNS): Udpated Friday 8:00pm – Police have named Jason McDonald, of New York City, as the cruise ship passenger who died on board the Liberty of the Seas on Thursday 21 January, and have confirmed, following a post mortem examination earlier today, Friday 22 January, that there are no suspicious circumstances surrounding the death. About 12.47pm on Thursday police were informed that the body of 37-year-old was found within his cabin on board the cruise ship, which was moored in George Town harbour. Police explained that the ship’s departure was delayed yesterday evening as the investigation continued but the body has now been brought ashore and the enquiry is under the Cayman Islands jurisdiction. 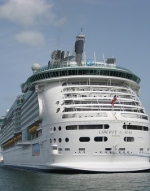 The ship’s call had already raised some controversy even before its arrival yesterday carrying over 2,000 passengers. The cruise ship had been chartered by a tour operator catering exclusively to gay tourism. Pastor Bob Thompson, the chair of the Cayman Ministers Association, had said that the organisation had raised its objections to the ship calling on the Cayman Islands with the premier. On each occasion that a ship carrying passengers from the gay community has docked in Cayman the association has objected, and the minister said the position had not changed. (CNS): Digicel has lost the latest round in the battle with its regional telecoms rival LIME following the Privy Council’s dismissal of its appeal today, Thursday 21 January. The appeal concerned a decision by the Jamaican Court of Appeal in 2007 which resulted in the firm having to pay over US $3.7 million to its competitor Cable & Wireless Jamaica (since renamed LIME). The 2007 Court of Appeal decision related to a determination made by the Office of Utilities Regulation (OUR) on termination rates for calls from fixed lines to mobile phones. Digicel appealed that determination to the Privy Council, which was dismissed this morning in London. LIME’s CEO said the decision supported the independence of the Jamaican regulator. He said that LIME had intervened in the litigation because of the company’s belief that the independence of the regulator is critical for the future of the Jamaican telecoms industry. The firm also maintains that it was vital for fair competition and consumer protection that the regulator was able to step in and regulate the rates that the regulated fixed network paid to the unregulated mobile network forcall termination. “The ruling is a clear indication that – at its highest levels – the justice system also recognises these facts," Shaw added. LIME was represented at the Privy Council by attorneys from the firm of Myers, Fletcher & Gordon. So far there has been no public statement from Digicel. (The Tribune): An international securities/brokerage business yesterday said it expected client assets under administration at its Bahamas office to grow by upwards of 50 per cent to $300-$320 million, due to its regional consolidation plans, as it warned this nation not to follow Cayman’s lead in raising business costs. Craig Lines, LOM (Bahamas) general manager, told Tribune Business that apart from the Bahamas’ US pre-clearance facility and better air transportation links, the other factor that influenced the company to consolidate its operations here, rather than in the Cayman Islands, was the ‘more than doubling’ of the latter nation’s licence and permit fees within the past five years. (CNS): The Cayman Islands Red Cross has so far raised over $100,000 for the victims of the Haiti earthquake. The charity also noted, following the scare caused by the earthquake felt in Grand Cayman on Tuesday, the importance of having a comprehensive family disaster plan so that residents of all ages can feel better prepared in the event of any disaster. In the wake of the devastation in Haiti, the local chapter of the NGO said it is important for parents to talk to their children about disasters, and use this opportunity to educate them about safety measures, as well as to the review your own family’s plans. Those needing assistance on how to create a family disaster plan should contact the Red Cross for further information. Regarding its very successful fundraising for victims of the Haiti earthquake, the Red Cross would like to thank the public for its generosity, and to encourage persons to continue to offer their support to such a worthwhile cause. Proceeds from the Thrift Shop sales between January 19th and 30th will go directly into the Haiti earthquake appeal, so persons wishing to donate goods can do so by stopping by the Red Cross Shop or contacting the Thrift Shop Manager at 949-6785 ext. 31 or 916-8954. One hundred percent (100%) of all funds collected by the Cayman Islands Red Cross will go directly to Haiti. Donations can still be made directly to the Red Cross (#34 Huldah Avenue, beside Barnett Music Centre), to Butterfield Bank under the Cayman Islands Red Cross Haiti Earthquake Appeal Account (02-201-035054-04) or to the Scotia Bank Accounts under the Cayman Islands Red Cross Earthquake Appeal (CI$ 10015473 — US$ 10015474). For more information, or to get involved, contact hbalgobin@gmail.com or 949-6785 ext. 26, 27 or 22. The United Church in Jamaica and the Cayman Islands is also collecting funds from its congregants, students of its Cayman Prep and High School and the public in general for aid relief to victims of the earthquake disaster in Haiti. In addition to its own missionary, which has been operating a medical clinic, meals programmes and other missions there for many years, the United Church works with a number of other Christian mission organisations with reliable and proven track records of ministering to those in need in Haiti. The Church will be sending the funds to some of those organisations which are able to get medical and other needed supplies and help to the those in need in the devastated areas most effectively and in the quickest time. These include the Luke Society (of Christian doctors and other medical personnel) through their branch based in the Dominican Republic but with an established Haitian presence, which is able to obtain supplies in the DR and get them overland to the earthquake area. The Church is also working through Ministries in Action, headquartered in Miami, Florida, which has been ministering effectively in Haiti since 1969 and with which the Church has had a similarly long mission association. By working through such established and accountable Christian organisations, the Church can ensure that funds donated will reach those who are really in need and will not be squandered in any way. The United Church relies on its own membership to fund its ministries and missions but is allowed to accept and seek additional assistance from the general public for onward use in missions to aid third parties, such as in the current situation of desperate need in Haiti. The United Church is therefore inviting members of the public who wish to assist the current relief effort in Haiti, and in particular to help Christian organisations working there to show the caring love of Christ to those in great need, to make donations to any of the United Churches, located in every District of Grand Cayman, or to the Cayman Prep and High School, marked for the Haitian Earthquake Disaster Relied. Further information may be obtained from the Cayman Council Office of the Church at ciciucjci@canw.ky or 947-1963. Portfolio of Internal and External Affairs officials are encouraging local Haitian families who have not yet heard from loved ones to contact the Deputy Governor’s Office at 244-2403 or Haitian consulates directly, in Miami or Washington DC. Corporate Manager in the Deputy Governor’s Office, Christine Wright, said that the portfolio knows that following last week’s devastating earthquake in Haiti, people in Cayman are anxiously seeking to contact relatives there. “However, given the damage to the communication infrastructure in Haiti, we are trying to gather information to guide local families,” said Wright. “The local Haitian population is relatively small, and while Cayman does not have a representative on the ground in Haiti we are attempting to see how best we can advise concerned relatives here on getting word of the fate of loved ones,” she said. She also reminded concerned persons that they may register with the Cayman Islands Red Cross which has a tracing system to link families. (CNS): The controversial rollover policy is to be changed, the premier has announced. Although he did not reveal the details, McKeeva Bush told the business community that there would be a number of changes coming in the arena of immigration. Revealing that certain categories of jobs within the financial services have now already been identified to receive three-year permits, he promised that, from now on, the business community can look forward to a more efficient immigration service. Speaking at the Cayman Business Outlook, he also said that, although government revenue was down $30 million in the first half of the fiscal year, government spending was down $37 million. In what he admitted was a long presentation at the opening of the Cayman Business Outlook conference this morning, Bush spoke on a wide range of topics, from tourism to inward investment, as well as his goal to privatize and “divest” some of the services currently offered by government. However, Bush’s primary focus was on changes and improvements to the country’s immigration policy. The premier told the audience that Cayman needed to make fundamental changes to the way the country approaches economic development and tackle the realities of the global economy. He emphasized his belief that Cayman should embrace wealth or reap poverty, and to do the former the country need to encourage business to stay and that meant giving them the things they needed, including work permits. Bush explained that a group had been formed to direct policy for the relevant boards, to give directives aimed at providing relief, and protection for the financial services. A list of financial sector jobs have now been designated as key and three-year permits will be granted to people in those posts. The changes would, he said, result in more efficient work permit allocation and security for employers. Bush observed that it was very important for the industry to take this action and the directives should have an immediate impact. He said that, while some people had criticized these changes, they had offered no alternative solutions. He said he wanted to not only encourage new investment but address existing concerns and prevent any more businesses from leaving. He said that while immigration was not the only thing that mattered, it was critical to maintain success. ‘If we don’t address this, firms will relocate and Caymanians will be even poorer,” he suggested. Criticising the last government for their view that when a foreign worker departed a Caymanian would fill the role, he said it was a “fool, fool idea”. He said government must look at the totality of the situation and it was not about protecting one or two posts for Caymanians but about protecting dozens of middle management positions for Caymanians, as well as training programmes for them. The UDP has always been about a true partnership with the business community, Bush said, and while he had supported the rollover policy, he had not supported the divisive way it was implement by the previous government. Therefore it would be revamped during the next sitting of the Legislative Assembly, he said. Promising change, Bush asked the business community not to send anymore business away. Check back later today for more coverage of the CBO conference and details of the premier’s speech. (CNS): Following the disruptions at John Gray High School on Tuesday in the immediate aftermath of the 5.9 earthquake, the education minister has said it was regrettable that a student had to be restrained but that security at the school was vital to its management. Rolston Anglin said that parents needed to know children can be safe at school but blamed them for adding to the problems. Chief Officer Mary Rodrigues commended staff and teachers over their handling of the evacuation, although the minister, who was reportedly overseas at the time, has said that, following the incident, the emergency response would be reviewed. In his first statement since the events at the school, which included the reported injuries sustained by a student who was restrained by police, Anglin stated that established procedures have to be carried out during an emergency so all students can be accounted for and that all students had to be protected. Anglin said that an official report of the incident reveals that the Year 11 student in question, who normally attends the Alternative Education Centre, was at the JGHS Behaviour Unit as part of his individualized education plan. According to the reported details, the student refused to leave the gate area and became aggressive and was then restrained by the police, who escorted him back to the Behaviour Unit, where he was counselled by trained staff. The ministry said that staff have been in touch with the family of the student and will continue to support the transition of the student back into the education system. Despite complaints about how things were handled in the wake of the earth tremor by a number of parents, Rodrigues stated that staff are to be commended for the effectiveness with which they vacated the school buildings and ensured student safety and an orderly assembly according to established disaster protocols. “Although parents and students were understandably anxious about the earthquake, particularly in light of the recent events in Haiti, it is essential that established procedures of the school are followed to ensure that all students can be accounted for and their safety ensured. Student safety is the first responsibility of any government school following any emergency situation,” she stated. Education officials met on Wednesday, to review government schools’ emergency plans, although Chief Education Officer Shirley Wahler pointed out that they already have established procedures, which were followed. “The public should know that our schools have earthquake plans, which were developed in partnership with Hazard Management. Our teachers ensured that students were evacuated from the buildings and remained in open areas until they received the all clear from Hazard Management yesterday morning,” Wahler stated. Anglin said that his Cabinet colleague, Community Services Minister Mike Adam, had reported that things had gone smoothly at the vast majority of schools, despite the high levels of anxiety, but acknowledged that some things that did not go so well. “Our focus now at the ministry is to ensure we learn from these incidents to make sure we are better prepared in the future,” the education minster said. As far as JGHS was concerned, he said that while it was understandable that anxieties ran high, he also pointed the finger at parents for adding to the problem. “I understand that staff members were put in a difficult situation with some students refusing to follow directions, leaving campus without permission, and in some cases with encouragement from parents,” Anglin suggested. Anglin said the schools needed the support and trust from parents to act as calmly as possible when disaster strikes. Rodrigues said a debriefing with “top level Ministry and Education Services staff” has already taken place and that a list of urgent short-term improvements had been identified. A debriefing has also taken place at John Gray and a meeting with the PTA executive is planned for Friday, 22 January. “We share parents’ concern for the safety of their children, and the way forward must involve both their input and cooperation, if we are to be able to protect our students,” she added. Wahler also said school counsellors and educational psychologists, under the leadership of Head of Student Services Brent Holt, are making preparations to provide counselling support for students and staff. She also reported the first evidence of structural damage at public buildings with minor damage reported at three schools. A superficial, hairline crack appeared in Bodden Town Primary School’s library; a crack was spotted over a door in a North Side Primary modular classroom; and an already cracked beam at Leading Edge School cracked further. Public Works Department is conducting repairs. 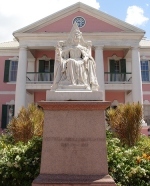 (CNS): Despite the problems resulting from the sheer volume of cases going through the Cayman Islands Summary Court, the chief justice has pointed to the introduction of diversionary and court supervised treatment programmes as one of the success stories for the criminal justice system in 2009. Anthony Smellie said that 140 people are currently involved in these specialist programmes, from the drug court to the new mental health programmes, which are successfully addressing the complex problems associated with certain offenders. At the recent opening of the Grand Court, Anthony Smellie spelled out the difficulties the judiciary faced with the space problems and the ever increasing number of cases, but he pointed out that many of the more than one thousand cases to go before the magistrates last year were being dealt with through alternative means, an area which he said was particularly encouraging. The chief justice told his legal colleagues that Summary Court has introduced certain aspects of the Mental Health Courts that operate in other jurisdictions. “This is another initiative of the Department of Community Rehabilitation and again utilizes the model of court supervised treatment initiatives to ensure compliance with medications and other forms of treatments,” he explained. There are currently ten people being supervised by the court who have mental health issues that are also receiving treatment at the Mental Health Unit. The new initiative is designed to support the offenders in the community and reduce their risk of offending as an alternative to incarceration. “Many of them suffer from dual diagnosis of mental illness and drug dependency and in many cases their dependency, particularly on marijuana, makes them refractory to treatment. They are an important subset of offenders who are not eligible for the Drug Court because of their mental health issues and for whom no treatment alternatives currently exists,” Smellie added. Like the Drug Court, diversionary programmes such as this are designed to reduce the risk of recidivism and the Drug Court model of supervision by the Court has been adopted and is supported by case conferences. Other diversionary programmes include the Domestic Violence Intervention programme, which is a 32-week programme, and the Anger Management programme, a 12-week module which is aimed at teaching skills for effective conflict resolution. Smellie said that the chief magistrate is also supervising a Healthy Relationships programme, which is offered to both offenders and their complaining spouses if necessary. “These and still further initiatives have been undertaken because the advent of the Drug Court has demonstrated the enhanced effectiveness of treatment programmes which are supervised by the Courts,” Chief Justice Smellie said. In addition, there are many people also undergoing counselling and other forms of alcohol abuse treatment, as a requirement of the DUI offenders’ initiative. The chief justice noted that the intention is to eventually promote legislation to strengthen and formalize these types of initiatives once the courts and partner agencies are satisfied that they are sufficiently tried and proven as piloted programmes. (CNS): Although employers were expecting not to have to pay pension contributions once government increased the work-permit fees, officials have confirmed that the legislation which will be required to remove that obligation has not yet been addressed. The National Pensions Office has confirmed that employers must still make contributions for all their staff. Although the office has received a number of enquiries from local businesses, staff confirmed that the law has not changed. A spokesperson for the premier has said, however, that plans to change the law which mandates pensions for foreign workers is still under discussion. When McKeeva Bush first informed the public from the Legislative Assembly that his government would be increasing work permit fees, he said the blow would be softened by the removal of compulsory pension payments by employers for their foreign workers. 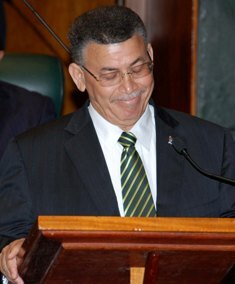 On 7 October 2009 in his statement on the new revenue measures introduced in the 2009/10 budget, the premier said that government was very sensitive to the cost of doing business in Cayman when compared to competitor jurisdictions. “As such, the government felt that the increase work permit fees across the board is supportable only by the removal of an existing employer expense such as the pension obligation for work permit holders; hence the cost of conducting business in Cayman will not increase,” Bush told the LA. He said this would apply to non-Caymanian workers and in some cases the increase in the permits would be less than the employers’ saving in pension contributions. This would lead to a small surplus for some smaller businesses, the premier had said, as well as giving foreign workers a choice about where they put the 5% of their salary which is currently deducted from their earnings. However, all work permit fees with only a few exceptions were increased on Monday 18 January and as yet there are no indications when the Pensions Law will be changed to make pensions for non-Caymanians at least voluntary. Fees have increased as much as three times in some cases and many around 50%. At present all workers, including work permit holders, must pay a contribution equal to 10% of their salaries into a pension, 5% of which must be paid by the employer. The law has been in place since 1998 operating as a privately-run pension system with government oversight. The pensions office said today that it is still battling on a daily basis with non-compliance by employers and in particular employers that remove the 5% contribution from their employees wages yet still fail to make that and their matching contribution into a fund. Not surprisingly professionals from the pensions sector have also warned against removing the pension obligation or introducing any kind of pension holiday, despite the poor performance of many funds in the last few years. 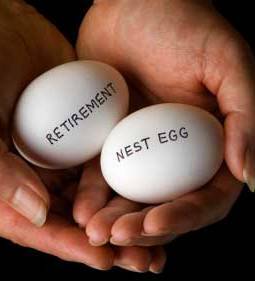 In a recent commentary on the Silver Thatch website, the firm noted that a one year break during the lifetime of a 20 year plan with average annual contributions of $3,000 could reduce a retirementfund by approximately $15,000. On Monday CNS asked the Ministry of Education and Labour for any details regarding the proposed pension suspension, but is still awaiting a response.